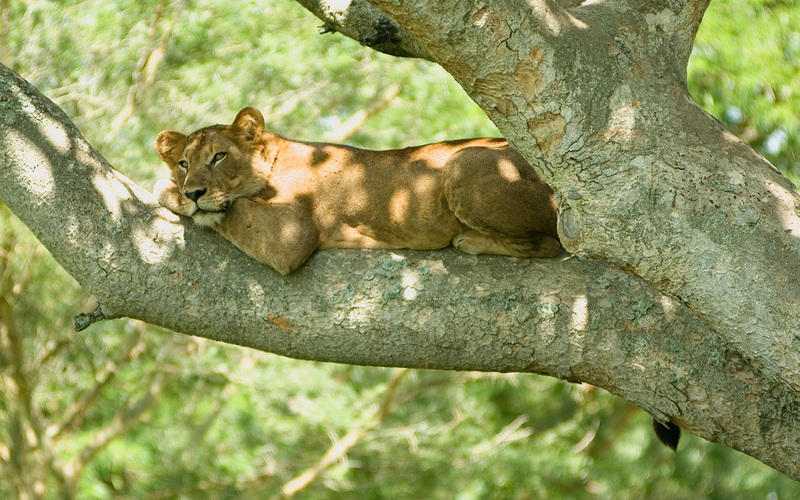 If you are searching for an exotic destination, Uganda is well-known for its wildlife in savannah and forests. Head out to Bwindi for some gorilla tracking or visit the Kibale National Park to see white chimps. Amazing savannah safaris with great wildlife views can be also found at Queen Elizabeth and Murchison Falls national parks. However, parks in Tanzania and Kenya offer a wider variety of animal life. Located close to the town of Entebbe and 46km/29 from Kampala, Entebbe International Airport (EBB) is the main airport in Uganda. Since the country is relatively compact, the best option for getting around Uganda is by vehicle. Travelers flying to Uganda can expect to be picked up at the airport by the local tour operator who will transfer you to the hotel. This person is usually in charge of all further transportation, as it is a part of your safari package. The easiest way to check for flights to and from Uganda is by using Skyscanner or Expedia for multiple destination flights. Use these travel meta-search engines to find out which airlines have flights to Uganda and how much money the tickets will cost you. If you are looking for domestic flights in Uganda, Fly Uganda and Aerolink offer flights to most of the parks in the country. A charter flight can also be organized by the tour operator, but expect to pay a high price for this service. Kidepo Valley National Park is probably one of the only destinations in the country that is often reached by air. Keep in mind that some of these entry requirements can change, so make sure to reach out to your local Uganda Embassy to check if the requirements below are current. All foreign visitors need to have a passport that needs to be valid for at least six months. Your passport needs to have a full and clean visa page for endorsement. Travelers who are visiting Uganda must obtain a valid yellow fever certificate. This document will be required as a part of a visa application and in some cases, you will be asked to show a valid yellow fever certificate at the port of entry. A valid visa is required for citizens of most countries. There is a list of countries that don’t need a visa. The best way to obtain a visa in advance is by using the official online visa-application portal. You can also get a visa through high commission or your local Uganda Embassy. Alongside the online application process, visas on arrival are still being issued. However, it is recommended to inquire about this whole process beforehand. Visitors can obtain a tourist visa for Uganda only or they can get a tourist visa for East Africa, which includes entry to Rwanda, Kenya, and Uganda at the same price. Expect to find a wonderful mixture of forest parks and savannah in Uganda. 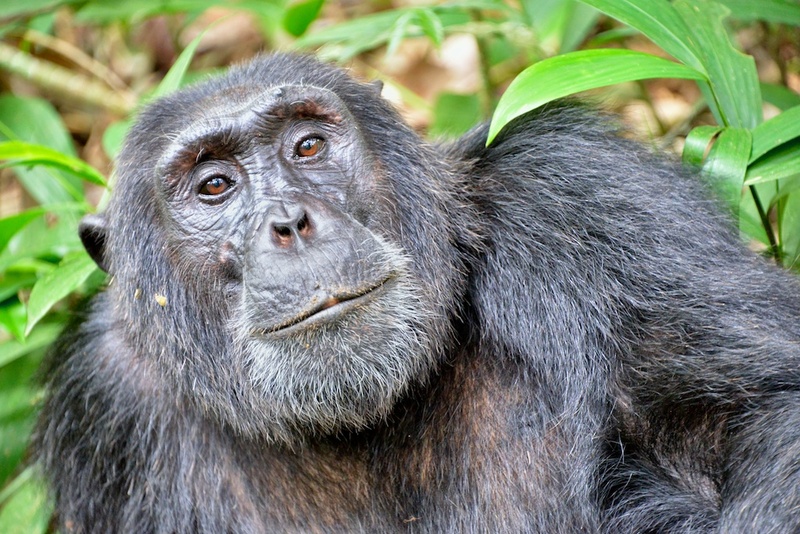 Highlights include chimp and gorilla tracking, but you will also have an opportunity to see dozens of smaller primates. The country is also home to many savannah safaris. However, not all of the Big Five are present. Cheetah can only be seen on rare occasions, while Black rhino is extinct. The white rhino was reintroduced in 2005 in Ziwa Rhino Sanctuary. If you are interested in seeing lions, head out to Queen Elizabeth and Murchison Falls national parks. Lions can also be spotted hunting Uganda Kob. Murchison Falls, Lake Mburo and Kidepo Valley national parks are home to giraffes, while Lake Mburo and Murchison Falls are the only two places where zebras exist. 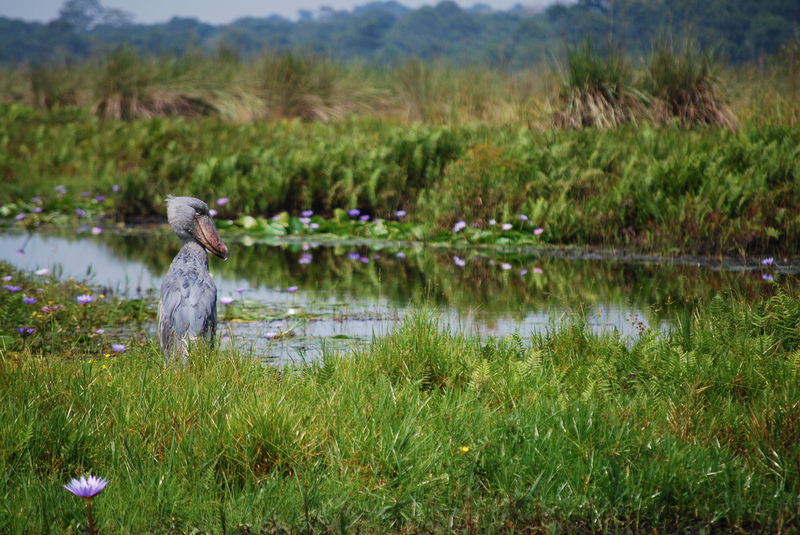 Uganda is also a popular bird-watching destination. There are a bunch of West African mammal species and East African safari animals in Uganda. Primates are known to be very well presented and some of the specials include grey-cheeked mangabey, red-tailed monkey, l’Hoest’s monkey, De Brazza’s monkey, and red-tailed monkey. Uganda is also home to the black and white colobus, as well as to a variety of antelope species. The Uganda kob can be best described as near-endemic. Six national parks in Uganda are home to the rare sitatunga antelope, but this species is rarely seen. If you wish to see the uncommon oribi, go to the Murchison Falls National Park. The dry season that lasts from December-February and June-September is the best time for wildlife viewing. Note that many roads get damaged during the rainy season that runs from September to November and March to May. The good news is that gorilla tracking is possible all year round. 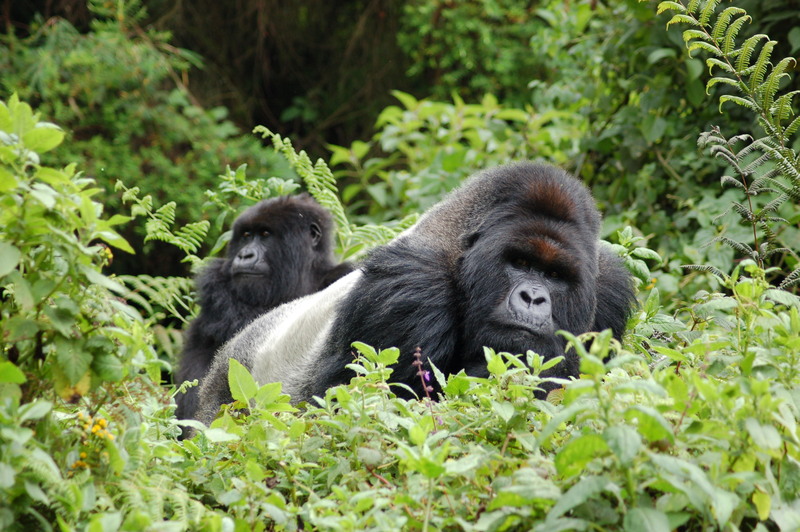 However, the weather conditions for gorilla tracking may not be perfect due to heavy rain in the wet season. The information here on Malaria and Vaccinations in Uganda is just a general guide and you should consult your doctor regarding this matter. Travel clinics and government organizations that you can find below offer up-to-date information about visitor’s health in Uganda. The risk of malaria is high throughout Uganda. The only exceptions are high altitude mountains that include the Ruwenzoris and Mt. Elgon. Keep in mind that all safari parks are known to be high-risk zones and that the rainy season is a time when the risk of malaria transition is the highest. Check out the websites below for more information and advice. The best time to visit Uganda for wildlife viewing is during the dry seasons which last from June to August and December to February. The biggest part of any safari in the country is primate walks. Visitors should know that the habitat of the rainforests is usually very wet and sometimes rain can be avoided. The good news is that the weather in Uganda is sunny after heavy rain. 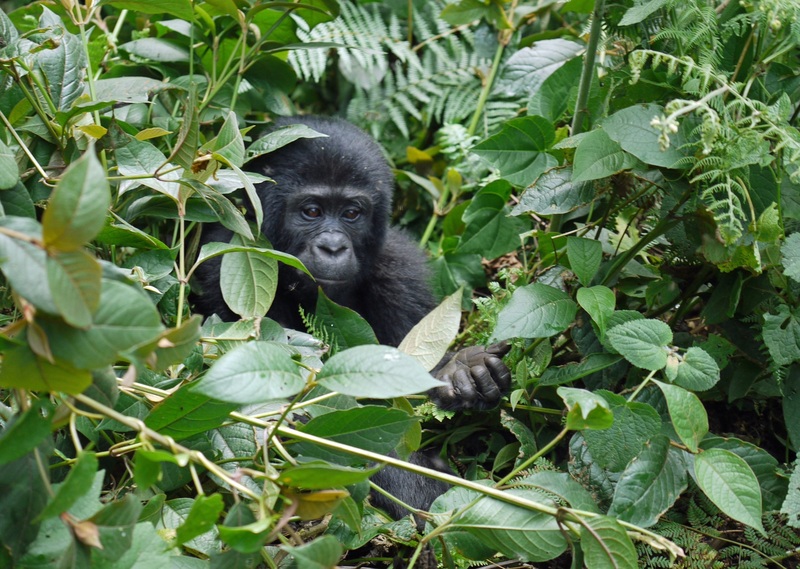 The dry season is definitely the best time of year for gorilla tracking. There is less vegetation in the savannah reserves during the dry seasons and many animals can be found around water sources. The good news is that from June to September the parks are not overcrowded with tourists. There is little rain and more sunshine during the dry season. You should definitely book Gorilla permits months in advance. The low season usually means lower rates and the savannah reserves are greener during the wet season. Although the dry season is known to be the best time to spot wildlife in savannahs, visitors will have a chance to see many animals and even newborn animals. You should know that some of the roads in the country are not in the best shape during the wet season and vehicles often get stuck. Beware that forest trails tend to be slippery. Tourists will not be able to change their gorilla permits if the weather is bad with heavy rain. HIV/AIDS is a well known disease in Uganda today with the latest statistics putting HIV prevalence at 6.7% of the total population. Almost everyone knows a person or knows of a person that has been affected by HIV- whether family member, friend or work colleague. This is the reason every sexually active person is being encouraged to test for HIV and other STDs. HIV and STD testing is done free of charge at most clinics and health units across the country. Voluntary HIV and STD testing is encouraged across all age-groups, from teenagers to married couples. The AIDS Information Centre-Uganda was one of the first organizations to provide voluntary HIV counseling and testing services in the country. It has branches in different parts of the country and also operates in select hospitals and clinics as well. The idea is that if someone knows their status, they can make better health/life choices. Many organizations, both government and non-government, have since started programs to encourage HIV and STD testing. One of such programs is the PMCT [Prevention of Mother to Child Transmission- of HIV] where all pregnant mothers are tested for HIV during antenatal visits. If one is found to be HIV positive, they are given medication to prevent the unborn child from contracting the virus. There are also a number of free counseling and HIV and STD testing centers specifically for the youth in Kampala, the most popular being Naguru Teenage Information and Health Centre. If you are in Kampala, you can choose from the numerous clinics/health centers that provide HIV counseling and testing, or you can have the test done in any hospital for a fee. All government hospitals like Mulago and the smaller KCCA Health Centre IVs provide free testing services. Other STD and HIV testing clinics include all TASO [The AIDS Support Organization] centers across the country. That said, many people still fear going for these tests because there is still some social stigmatization attached to HIV and other STDs. This probably explains the recent influx of HIV self-test kits in some pharmacies in Kampala. 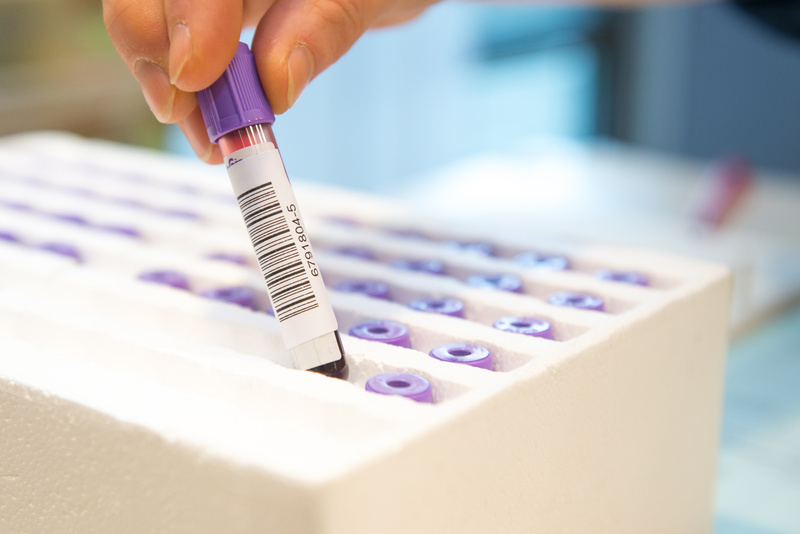 Health officials are however encouraging people to go for testing from professionals, since these self-test kits lack the counseling service. The Crested Crane is Uganda’s official bird. It has been Uganda’s national symbol since the colonial times. Also known as the grey crowned crane, this beautiful bird is graceful, elegant, and moves with a very dignified gait. It is slightly over 3ft. tall with long legs and a slender neck, almost as long as its legs. Its head is crowned with stiff gold feathers. Although most of its wings and body plumage is white, the feathers are quite colorful, containing the three colors of the Ugandan flag- black, yellow, and red. The Crested Crane first made it to national status in the early 90s when the then colonial Governor of Uganda, Sir Frederick Jackson was captured by its beauty and chose it to adorn the Union Jack. [see; Imperial Flags-Uganda Governor’s flag 1914-1962]. 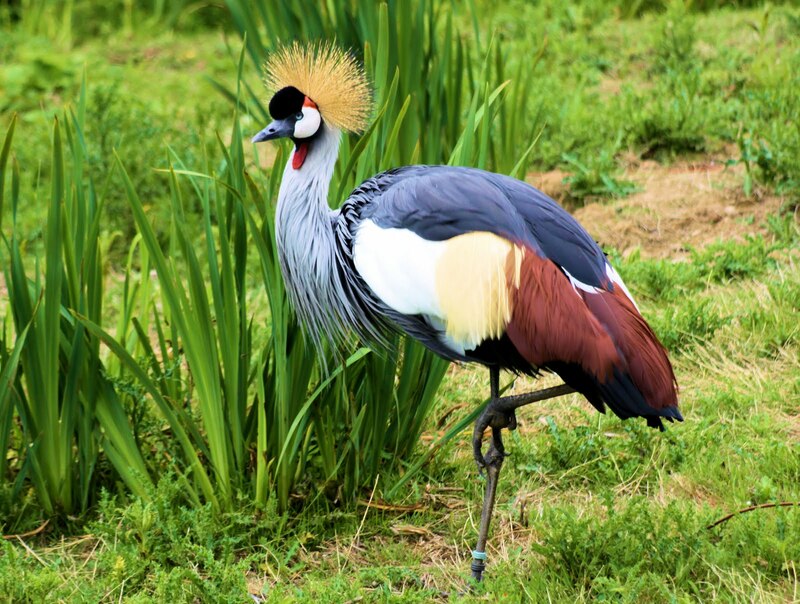 When the Uganda Flag was adopted in 1962, replacing the Union Jack, the Crested Crane was chosen as the official symbol of the independent Uganda. This majestic bird now adorns the centre of the flag, standing on one leg, facing the flagpole, surrounded by the national colors- black, yellow and red. The one-leg stance symbolizes the idea of Uganda moving forward. It also adorns one side of the Uganda Coat of Arms [National Insignia]. It was chosen as Uganda’s symbol due to its dignity, elegance and its peaceful and friendly nature, which is without a doubt a representative of the Ugandan people. Of course there is the fact that its wing feathers are black, yellow and red. The Crested Crane name also extends to other fields such as sports. For example, the Uganda National football team is called the Uganda Cranes where as the National Women’s team is called the She-Cranes. The Crested Crane can be found in almost all regions of Uganda. Although it is considered a crime to harm one of these birds in Uganda, their numbers are drastically reducing because most of their habitats have been encroached on by human settlement and other activities such as poaching. Witchdoctors also contribute to this tragedy because they use the birds’ body parts and/or eggs to make love potions believed to make relationships stronger since crested cranes are monogamous and mate for life. Despite this, the Crested Crane remains the most cherished bird in the country. “Uganda is the food basket of East Africa”. Make that ‘fruit-basket’! Uganda boasts of an endless variety of fruits. There are mangoes, pineapples, avocado, bananas, watermelon, passion fruits, apples, papaya, oranges, and lemons; and perhaps the fruit unique only to Uganda- the jackfruit. 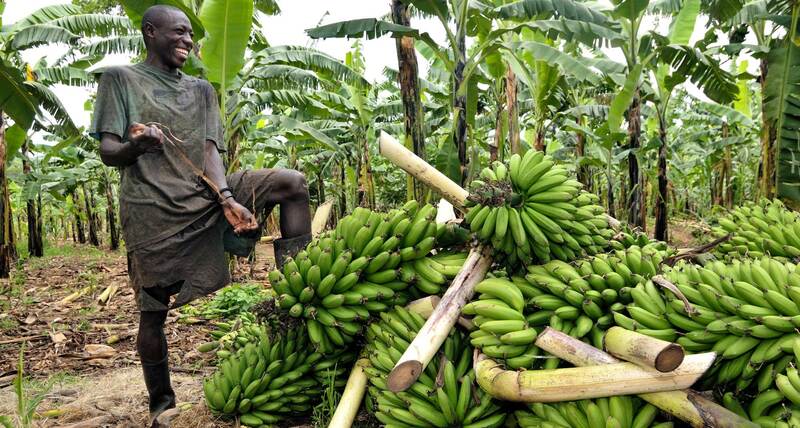 Because of Uganda’s warm, yet less humid tropical climate, fertile soils and plenty rainfall, most of these fruits grow throughout the year. In Uganda, fruits are available everywhere you go- roadside vendors are the most common and convenient fruit sellers, but also the local market stalls host an impressive and colorful collection. If you are a fruit-lover in Kampala, fresh-food markets like Nakasero, Kalerwe, and Nakawa are a must-visit. If you are travelling outside the city, there are still a variety of roadside fruit stalls along the highways. Most fruits like pineapples, mangoes and bananas are very cheap because they are produced from almost all over the country. Let’s briefly look at some of the most common fruits in Uganda. Mangoes; very common and sizes vary- ranging from the very small to very large, depending on the part of the country they are produced. They turn yellow and soft when ripe, but most people I’ve met prefer them when they are still a little green and hard. Can be eaten separately or used for fruit salad. The overly ripe ones are usually used for juice. Mangoes are cheapest during peak season. Jackfruit; ‘Ffene’ as it is commonly known is a large irregular oval-like fruit, yellowish-green when ripe. It has sticky sap when cut open, but also the most delicious yellow fruits inside. The roundish fruits have seeds inside that need to be removed before they can be eaten. Jackfruit is mostly sold by roadside vendors pushing hand carts- they usually cut it into smaller pieces and sell them separately. Ready-to-eat packed fruits can also be found in some supermarkets. Passion fruits; commonly used for juice. Passion fruit juice is the most common juice in restaurants/hotels and homes across Uganda. They come in two sizes [small and relatively big- orange-like size], and are either purple or yellow. Pineapples: very sweet and juicy and common across the country. You will find pineapples in food markets, at roadside stalls, and on Kampala streets, you are likely to meet a vendor with a hand cart, selling pieces of peeled pineapple on a hot day. In Ugandan speak, ‘boda boda’ refers to motorcycle taxis. Boda boda are a common sight on Kampala streets and in other towns around the country. It is the fastest way to get anywhere in the city, considering the traffic problem prevailing in Kampala. In upcountry towns, the lack of other public transport means such as taxis into the villages make boda boda not just a quick way but the only way to move around. If you don’t own a car, boda boda is the only other transport system that takes you straight to your doorstep. On Kampala streets, boda bodas are overwhelmingly many and hardly respect the traffic rules. It is a common sight to see pedestrians stop for a boda boda to ride by before they use the designated pedestrian crossing [zebra crossing]; or boda bodas competing with pedestrians on the street pavements/ sidewalks. For these vey reasons, boda bodas have been cited as the number one cause of road accidents in Uganda, most of them fatal. Despite their disrespect for traffic laws, boda bodas are still a quick and common way of getting around town if you are not patient enough to sit in a commuter taxi, get stuck in traffic and get to your destination late. It is also a sure way to get to a place you do not know, especially if you are new in town or just going to a new area. Boda boda riders know almost all the places in town. 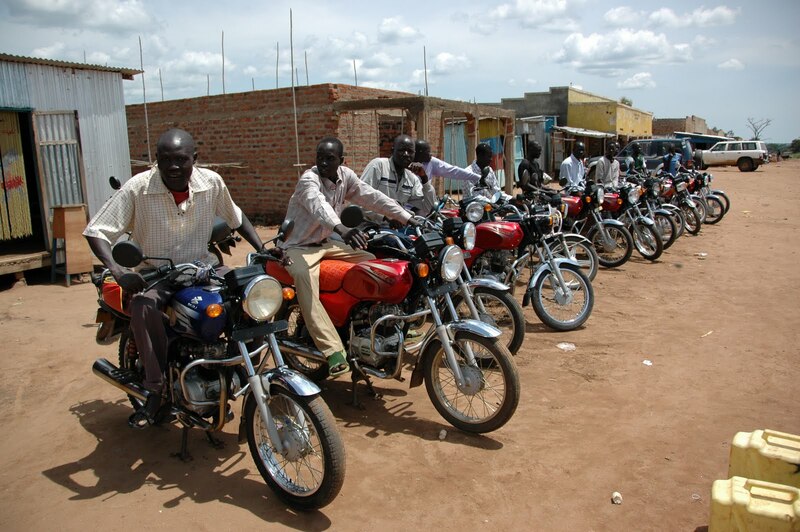 So if you are new in town; here are some tips to the boda boda experience. There are several boda boda stages along the streets, so pick one from anywhere closest to you. Alternatively, you can just stand on the street and yell ‘boda!’ if you see one passing by. They will always stop and pick you up. If you don’t know where you are going, it is likely that you will be charged a higher price than usual especially if you negotiate before setting off. Get to where you are going first then according to the distance, offer the price you think is suitable. The lowest price for any boda ride is Ugx. 1,000 [about $3], for the shortest distance. Most Mzungus are usually charged a higher price than the locals, so beware and negotiate your way to a lower price! Unbelievable traffic is the way of life on Kampala roads especially in the mornings and evenings. People getting to and from work, parents and school buses dropping off or picking kids from school, or people just going around their business. If you have an appointment in town at 9 am, and you live in one of the suburbs that is about 20 minutes away, you need to get on the road by 7 am . That is how bad Kampala traffic is, especially on weekdays. And when it rains, the situation gets worse. You are very likely to hear someone at the office say they are leaving early; reason; “it looks like it’s going to rain”. There are a number of roads famous for their traffic- Entebbe road where you are likely to get stuck on the Clock Tower round-about, just as you are trying to get out of town, for over thirty minutes. Folks headed towards Mukono often leave town very either early, or very late in the evening to avoid the traffic. 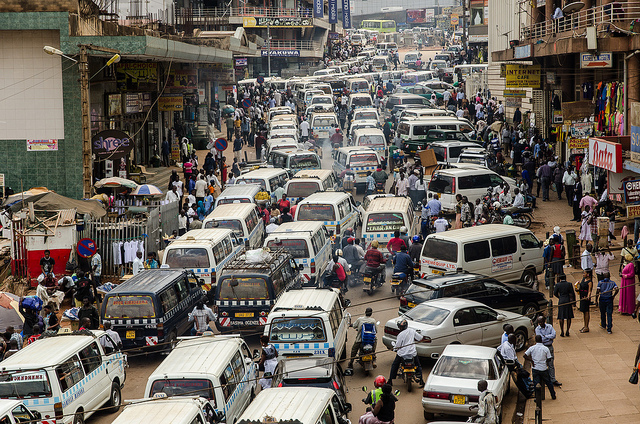 The traffic situation on Kampala roads is made worse by the countless number of roundabouts and the size of the roads [most Kampala roads are two-lane]. A drive during Kampala’s traffic-crazy hours is nothing to look forward to. You have to deal with the dust and heat [during the dry seasons] and the noise because drivers tend to lean on their horns out of frustration. Many drivers, especially taxi drivers try to take short-cuts to avoid the delays on the main roads. Most of these so-called ‘short-cuts’ are barely roads. I have been in situations where a taxi gets stuck in one of these small, muddy short-cuts. Any driver on Kampala roads will tell you about dealing with the menace that is boda-bodas [motorcycle taxis]. They blatantly ignore traffic rules and are forever trying to get to their destination faster than anyone, albeit in a terrifying dance routine around other road users. This accounts for the large number of boda-boda accidents on the roads. That aside, if you are pressed for time or don’t have the patience to sit in a taxi or your car for hours, boda-bodas are the fastest option. When one speaks of witch doctors in Uganda, one thinks of ‘Abasawo abaganda’ as they are commonly referred to in the central region or ‘Abafumu’ in the western region. They claim to communicate with spirits of the dead and provide solutions to people’s problems. These range all the way from all manners of ailments and afflictions from cancer, infertility to HIV/AIDS, to offering success whether in business, politics, and education or just help someone seeking fame. These doctors usually demand a fee, on behalf of the spirits, before one’s problem can be addressed. This payment is usually a sacrifice in form of animals, most commonly hens and goats, but human sacrifice is sometimes demanded. While witchcraft is a long-time custom in most cultures in Uganda, it was usually thought to be a practice for the rural, uneducated communities, but recently, it has become an almost commercial venture with an increasing number of the educated people turning to the practice. Many politicians, wealthy businessmen as well as celebrities in Uganda have been linked to witchcraft. A couple of years back, there was an increase in child sacrifice in Uganda, and this was linked to witch doctors. Many popular businessmen were said to be having children abducted and taken to witch doctors for sacrifice, being assured that they would get even wealthier. These particular witchdoctors catering to the elite class are very well compensated and have become very wealthy themselves. In the rural areas, a number of communities still resort to witchcraft instead of hospitals when they get sick. Others go to witchdoctors to get revenge on their enemies, by having a witchdoctor for instance cast a spell on their enemy or the person who has wronged them. In some areas, it is used as a threat, to keep peace within the community. A thief would for example know not to steal anything from a particular village in fear of being cursed. Witchcraft, although feared, is still a widely practiced custom in Uganda. 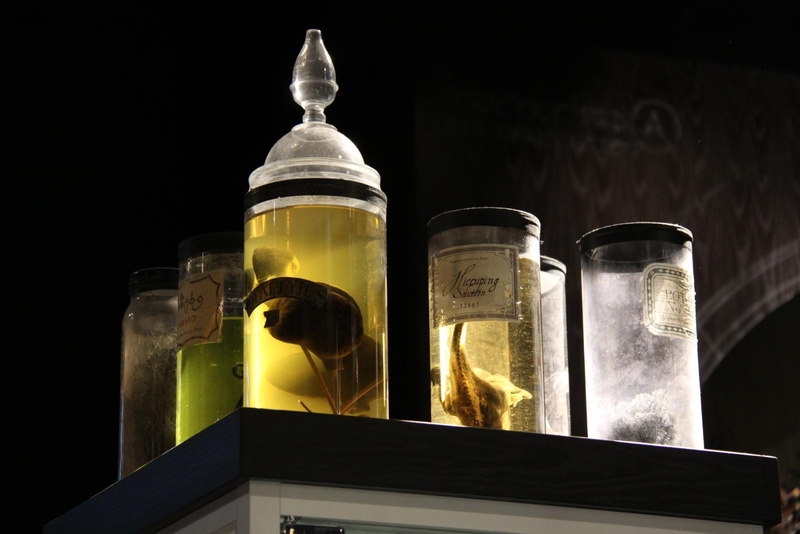 Witchdoctors have come from as far as Tanzania, Congo, and Zanzibar to set up shop in Uganda. “The Pearl of Africa” is a phrase popularized by Winston Churchill when he described his impression of Uganda after his trip in 1907. Some sources however credit one of the earliest explorers into Uganda, Henry Morton Stanley, as the first person to refer to Uganda as the Pearl of Africa in 1871. Regardless of who came up with the phrase, both men had similar reasons for this reference; Uganda’s natural beauty- the lakes, mountain ranges, wildlife, the people and their culture. So why Uganda is still referred to as the Pearl of Africa today? Let’s start with the natural beauty Uganda offers. We start off with the famous Lake Victoria- the largest lake in Africa, the largest tropical lake in the world and the world’s second largest freshwater lake. Lake Victoria is also the source of the longest river in the world, the River Nile. The Source of the Nile monument in Jinja is a popular destination for both tourists and locals alike. The wild life is another unique feature that attests to Uganda being the Pearl of Africa. From the rare mountain gorilla species in the Bwindi Impenetrable National Park and Mgahinga Gorilla National Park to the biggest number of bird species in Africa in Queen Elizabeth National Park, to the Big Five [lions, elephants, buffalos, rhinos, leopards] and all sorts of smaller animals in Uganda’s other national parks. 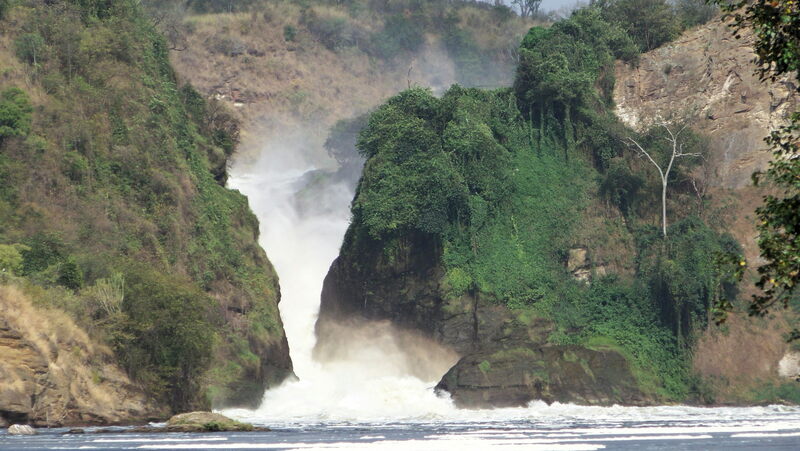 Don’t forget the lush mountains, the green forests, and the gorgeous waterfalls along the Nile. Of course, the Pearl would not be complete without its people. Ugandans’ hospitality is a well-known fact in the region. 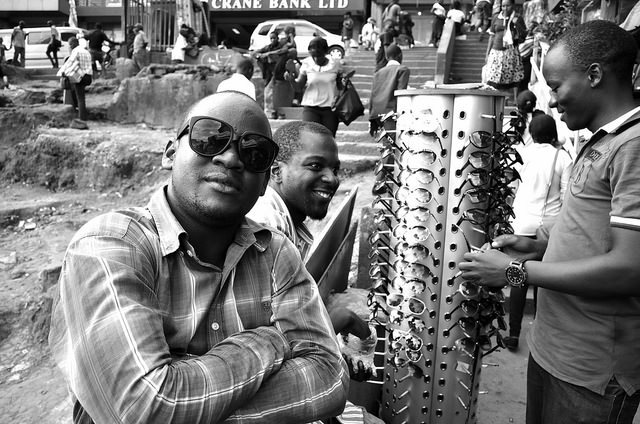 You will not find a more welcoming, hospitable, and friendly people anywhere in East Africa. Even with the diverse culture spread over the different tribes, everyone is ready with a smile for everyone; even a stranger. It was no mistake that Uganda was named as ‘the best country to visit’ by Lonely Planet in 2012 or as ‘one of the best travel destinations for 2013’ by the National Geographic. Uganda is truly the Pearl. The dating scene in Uganda is a controversial one. The men will tell you that dating a Ugandan girl is dramatic and expensive, while the girls will say dating a Ugandan man is a road to heartache. Most young Ugandan girls especially the ‘campusers’ [University students] prefer dating older men- the working class, because of the financial benefits that their fellow university male students cannot afford to provide for them. So while the working class bachelors go for the campusers- because they are cheaper to maintain than the average working class woman, the working class ladies go for the married men. The majority of Ugandan men hardly settle with one woman. Most married men often have a girlfriend on the side, commonly known as a ‘side-dish’. I have found that most girls do not mind being side-dishes, as long as the man provides for them, especially financially. It is common to find a group of married men boasting about their side-dishes over drinks in a bar. This practice is kind of an unspoken but acceptable situation in most marriages. There’s been a recent rise in mixed relationships. Most Muzungu men [expats and tourists alike] prefer to date Ugandan girls. For most of these guys, it’s the allure of a new experience of being with a black girl. It doesn’t matter whether these men are married or not. It is a common occurrence to find a white man with both a wife back home and a girlfriend or ‘African wife’ in Kampala. Most of these relationships end when the man has to go back home. For the girls on the other hand, most of them go for the Muzungus because they are more generous than most of their Ugandan counterparts- financially, emotionally and sexually. What else explains a beautiful twenty-something Ugandan girl dating a seventy-something white man? You will find a smaller number of Muzungu ladies dating Ugandan men. It could be because most of these women already have stable relationships back home- something that doesn’t deter their male counterparts, or prefer to date their fellow Muzungus.